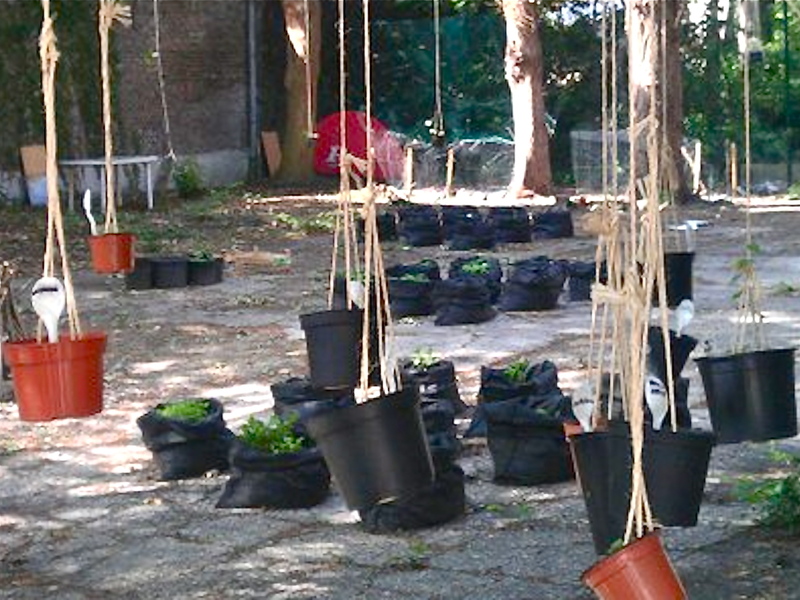 The construction of an interim vegetable garden on a former playground, to be transformed into new workplaces by the St. Luke Architecture School of Science & Arts, offered a group of motivated bachelor students of the course Interior Architecture a chance to accept the “green challenge”. 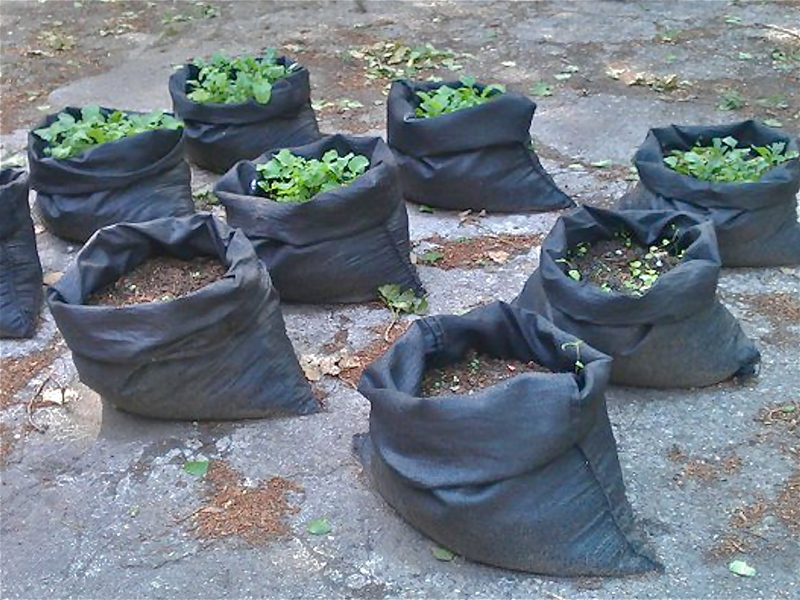 Armed with shovels and rakes, potting soil and seeds, garden guides, sketch paper and a laptop, a paved, polluted and overgrown piece of the city was transformed into an outdoor studio where sun and rain determine the daily rhythm of life . Thus, future interior designers could study how gardening and ‘a garden as a workshop’ can be integrated into their profession. The designing of this experimental garden as a house of weed and food (* HOW, House of Weed) was the first step. Taking stock of a collective inventory of the stored resources, both materials and knowledge of the students, was the basis for detailed zoning and designing the garden. Separate teams studied spatial aspects such as the greenhouse, the terrace, the vertical garden, the hanging gardens, the concrete surface, the flower field and the zoo. 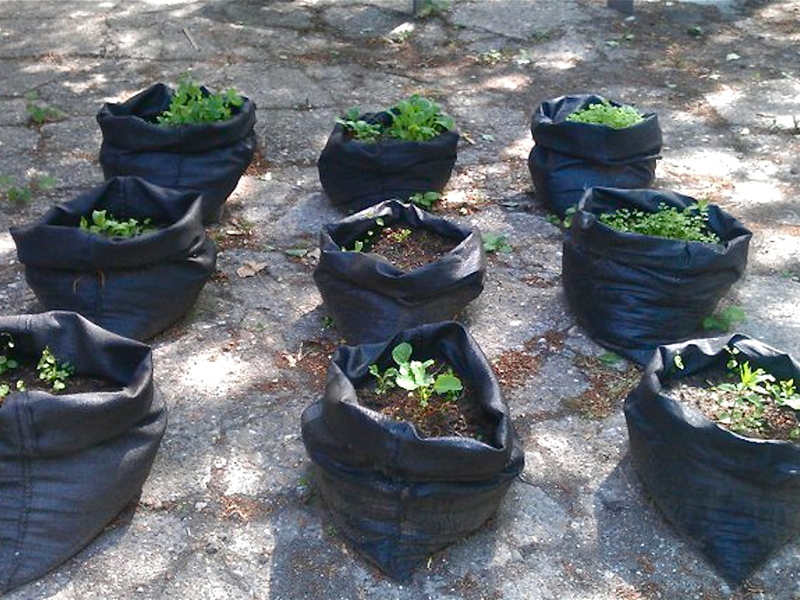 During the gardening activities and numerous confrontations with obstacles (soil too heavily roots and contaminated, weather too dry , too much shade, too little suspension points, not enough wood, radishes growing too slowly, escaping chickens, garden hoses too short, etc. ), the students developed an individual design-based research and a project-proposal, resulting from the HOW-experience. 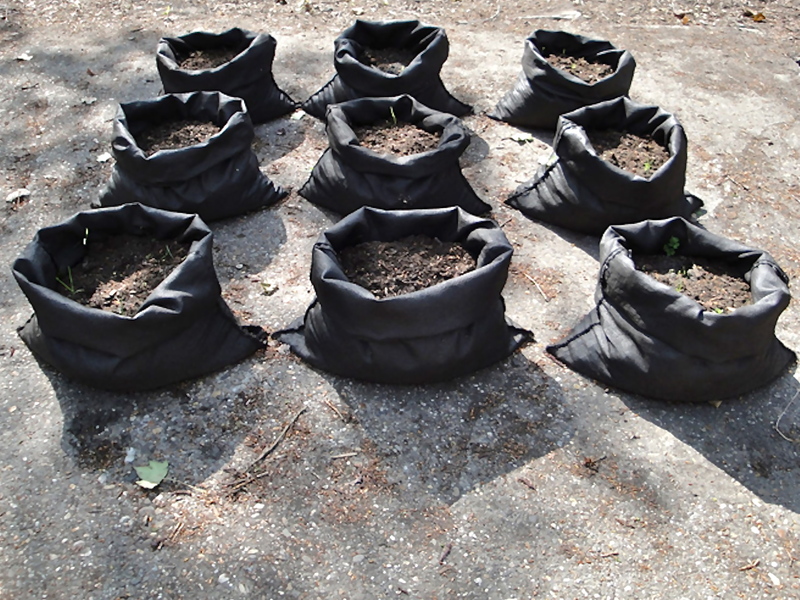 Most of the plants can be grown in sacks filled with potting soil. Photos taken by students “HOW-WORKSHOP”.